Lovely photo, we've just been doing the same. What fun - we've had to postpone ours until tomorrow. 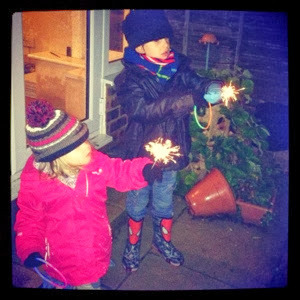 We have yet to do any sparklers, missed any displays over the weekend as we were away. Your two look like they're really enjoying them?